When you purchase a new Volvo, your vehicle comes with a warranty from the manufacturer. 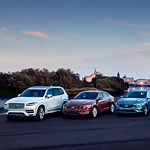 Volvo often lets you carry over the remainder of a warranty, and limited warranties are available with the purchase of a certified pre-owned Volvo vehicle as well. This will cover any issues that arise during the first little while.